Method of fermentation: Fermented in Stainless steel tanks. It tastes a little mysterious. Dark, mellow, this is a full-bodied flavorful rose that does not punch you in the mouth (or nose) with aggressive acidity, or tropical fruit-bowl aromatics. In its own way, Perdesne is subtle. The roundness and amiability of Perdesne makes it very food versatile. Made with dolcetto, The name, Perdesne, means “for lunch” in Piedmontese dialect. I’m agnostic when it comes to the natural wine community no-sulfur vs. low-sulfur debate. Tasted side-by-side in Franco Penna’s cellar, this no-sulfur cuvee seemed more complete, complex, exotic… the low-sulfur version (which I also import) was more bright and direct, its appeal tied to refreshing red fruit. I like Dolcetto with duck (if you have time to prepare duck) but it really suits a lot of autumn flavors: acorn squash, black lentils, farro, chard. Turkey, too. Organic. Calcareous marl soils. 50-year-old vines. Very gently pressed, fermented in pressurized, temperature-controlled stainless steel tanks. Soil type: South sloping calcareous marl. Grapes: 50 year old Moscato vines. Method of fermentation: Gently pressed and fermented in pressurized, temperature-controlled stainless steel tanks. Franco Penna is a patient man. His winery is remarkably hard to find, hiding in plain sight among segmented roads bearing the same name and non-contiguous house numbers. His house number is 30, number 31 is at least a kilometer away. Across a main road. Guarded by a not-so-friendly dog. Canelli is rich in wineries, numerous enough that innocent pedestrians are ignorant of this five-hectare family estate at the beginning of a south-facing hillside more or less in the outskirts of town. I found my way to the wrong cellar a couple times before ultimately winding up the drive to meet our waiting winemaker. Franco has been a grower since 1985. Penna’s father bought the house in 1965 and grew grapes on the land. His brother grows some of the fruit Cascina Barisel utilizes: all his fruit comes from the family’s vines. In conversation about the property, it is clear that Penna is enjoying himself. He has perspective and a sense of humor, but this lightheartedness does not signify a lack of dedication or purpose. He has the charisma of a man 100% in control of his life’s work. “I do everything. I work in the vineyard, in the cellar, I sell the wine….” In the vineyard Penna works without chemical fertilizers or insecticides. Franco says his parents taught him to respect nature. “I work mechanically, not with chemicals.” In the cellar, temperature-controlled fermentation tanks keep the estate’s flavor profile one of decidedly fresh fruit aromas. 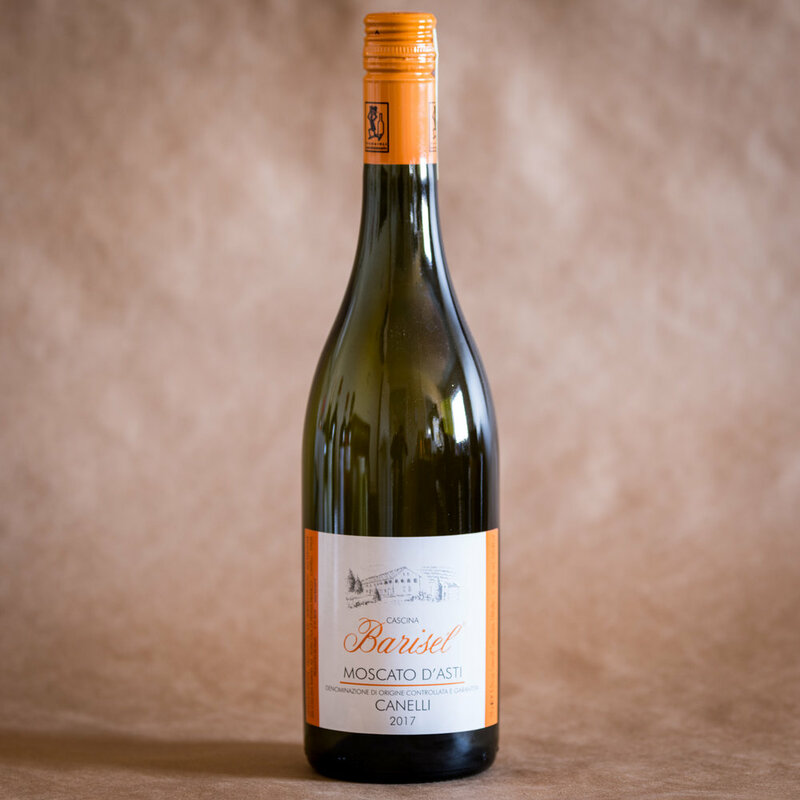 The Dolcetto from Barisel is a low-key masterpiece, subtle and fine. Foravia is wild herb and pithy citrus; wine from Piemonte on a seaside holiday. Put it on your table next to (Favorita/Vermentino) from Liguria or Sardinia and Foravia reveals talent for understatement. It is measured and brimming with local character. Recently Franco built a new cellar with old bricks under his house. You can see the roots of his vines coming through the marl from five meters above. In this very clean, cool underground space he has a corner devoted to a natural spring, one of many local water sources that these roots are seeking. Their struggle is the origin of good wine in this good terroir. Franco Penna’s single-handed careful and constant work completes their labor. I know Franco Penna well. He lacks the self-righteousness of natural farmers, and he has a good sense of humor. He’s not an outwardly ideological guy. In his cellar while tasting no-sulfur natural yeast Dolcetto, in the middle of 15 hilly acres of scrupulously tended chemical-free vines, I think I see the core identity of Franco. He is action not talk. His talk is lively and gently irreverent, untethered to the professionalism of Cascina Barisel. He wants people to taste his wines because they taste good, and that is how he presents them. He is quick to discuss the wines of other estates that we taste together, and he seems to enjoy interaction with other winemakers. He has opinions. He is very generous. The estate’s cellar is very well maintained. Many additional hours of labor clearly go on at Barisel to create even-keel, understated and exceptionally affordable wines. I scan down a sheet of available quantities: there isn’t much wine! Franco prices his wine to sell “I have to make a living with wine, this is not a rich man’s hobby for me,” and to drink. They are seamless and perfectly representative daily wines, clean, direct and good. The sun may be shining but rainwater is still draining down the hills of Astigiana. Light chalky clay soils stick to my fancy leather shoes and stain one of the three pairs of pants I possess. So much for packing light. I don’t go to the top of Franco’s hill, I stop mid-slope among stunted mean old Moscato vines, sick of sticking and sliding and wondering how much better the view could really get. A truck is delivering bottles, it’s time for me to get out of Franco’s way and out onto some little road. We’re meeting up again soon for pizza anyway.